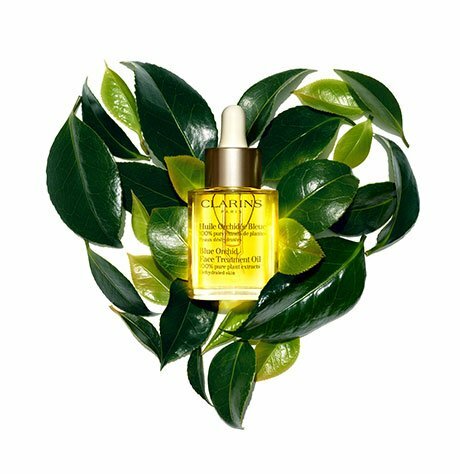 Clarins currently ships to all 50 states, as well as APO/FPO/DPO military addresses, and PO boxes (restrictions apply). Shipping to military addresses and PO boxes is only available via USPS (Economy shipping). Economy and Standard shipping options are not available to addresses in Alaska and Hawaii, and you may experience longer delivery times to these states. We do not ship internationally. We do not ship to U.S. territories (Guam, Puerto Rico, U.S. Virgin Islands), but we accept billing addresses from these territories. Shipping fees are not applicable toward rewards or promotions. Orders are shipped and delivered on business days (Monday through Friday, excluding major holidays). Most orders are processed and shipped within 1 - 2 business days, depending on product availability. However, please allow for extended order processing time during during peak periods, such as major holidays. Orders placed during these times will ship within the following business days. Orders can be shipped to one address only. If you would like to have products delivered to multiple addresses, please place separate orders for each address. We do not ship to freight forwarders or distribution warehouses outside of the United States. If your Ship To address is found to be a freight forwarder, business address service, or virtual office, your order will placed on hold and cancelled. To ensure that we have accurate shipping information, and get your order to you promptly, we use a system that verifies your address using your ZIP code. This information must be included. Once your order is ready to ship, you will receive a Shipment Confirmation email that contains a tracking number. Please refer to that tracking number for the most up-to-date information on the status of your order once it has shipped. Orders shipped with Economy via UPS SurePost are typically delivered within 6 to 8 business days after the order has shipped. Actual delivery time depends on shipping distance and may vary. Delivery to some remote addresses may require up to 2 additional days. Economy shipping is not available to addresses in Alaska, and Hawaii. UPS SurePost does not deliver to commercial addresses. Orders shipped with Standard via UPS Ground are typically delivered within 3 to 5 business days after the order has shipped. Actual delivery time depends on shipping distance and may vary. Delivery to some remote addresses may require up to 2 additional days. Standard shipping is not available to addresses in Alaska, and Hawaii. Orders shipped with Express via UPS 2nd Day are typically delivered by the end of the second business day after they are shipped. Your order will be shipped after your credit has been approved and/or any other necessary verification has been completed. To be shipped the same day, your order must be submitted and such approval and verifications completed by no later than 12:30pm EST/9:30am PST. All other orders will be shipped on the day that credit approval and/or other verifications are completed, unless the same takes place after 12:30pm EST/9:30am PST, in which case the order will be shipped on the following business day. Orders shipped with Overnight via UPS Overnight are typically delivered by 3pm (local time) the next business day after they are shipped. Shipments to some remote addresses are typically delivered by 4:30pm (local time) the next business day after they are shipped. Overnight via UPS Overnight is available for shipments to addresses within the 48 contiguous states, and to some addresses in Alaska and Hawaii. FREE Economy shipping with any order over $75! We offer free Economy shipping with any order over $75. No coupon code is required. Please note that this offer is only valid for orders shipped to addresses where Economy via UPS SurePost is available.